The whole of the work of Matta Clark, considered by critics more an artist than an architect, is actually a reflection on and denunciation of the world of architecture. Indeed, he metaphorically dissects, cuts or destroys buildings (building-cuts) to denounce both the damage of urban speculation and the shortcomings and cultural shortsightedness of those in the sector. He graduated from Cornell University in a period (1968) when among the professors were some of the greatest theorists of modernism, such as Colin Rowe, and then went on to execute a critique and refusal of the profession, just like that taking place in Europe during those same years with the protests of movements that would later be defined ‘radical architecture’. The primary function of the group ‘Anarchitecture’ that he founded in 1973 in New York with other artists (Laurie Anderson, Lucio Pozzi) and that expressed itself through the most disparate of media, performances, photography, sculpture, was in fact, like all such movements, that of protesting against the culture, not only architectural, of the times. The project Fake Estates (1970), is a critical observation on ‘gutter-spaces’ that made irony on the American dream of owning land through the virtual purchase of very small, unused and unusable lots in Manhattan, but it was mostly with the building-cuts that, by intervening on buildings, he intended to alter perception and thereby determine and define new spatial relationships. With Bingo (1974), he removed the entire facade of a building destined to be demolished and moved the walls to another location. 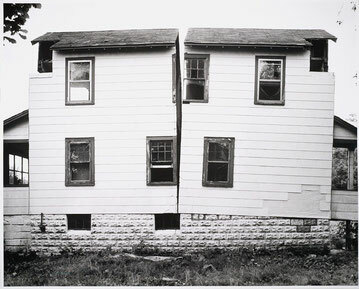 In Splitting (1974), a perpendicular ‘cut’ divided and at the same time doubled a building specularly. In Paris he cut large ‘cones’ (Conical Intersect, 1975) in buildings of the old Halles that were to be destroyed to make room for the future Centre Pompidou. 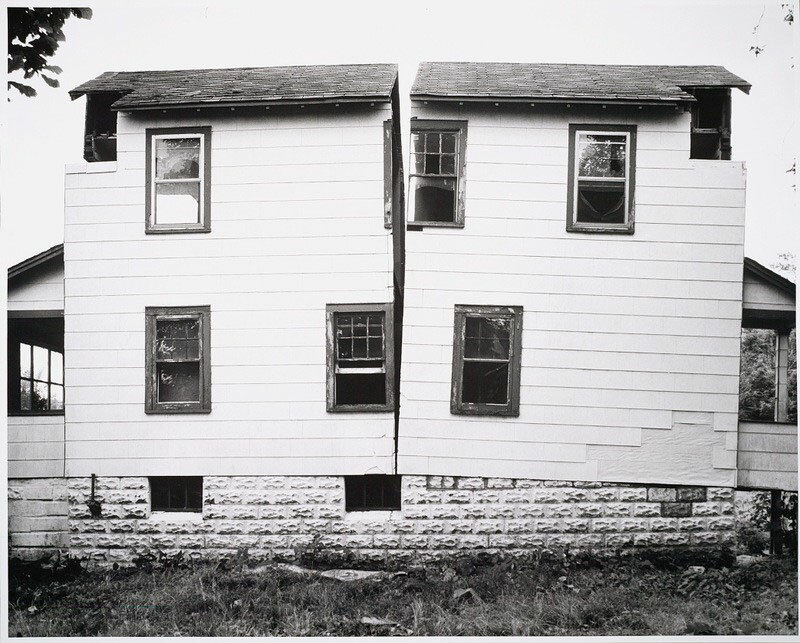 Therefore, working on abandoned buildings or unused land, Matta Clark spoke of architecture ‘a contrario’, investigating its spaces and materials but at the same time transforming it into a symbol, a mental activity that permitted also pondering the social issues of its time.